“It’s a lovely evening — awesome really, and so family-oriented,” said Mary Berlinghof of Newport, who was on the museum’s front porch with her husband, Chuck. “The problem is not that our beech trees are old and impacted by disease, but that for a generation the community was not planting enough trees,” said Jennifer Garlick, program director for the Newport Tree Society that sponsors the Newport Arboretum, one of the many partners for the event. Thursday was the first night of “The Lighting of the Beeches,” April 14-29, when dozens of European beeches will be lit by property owners across the city. 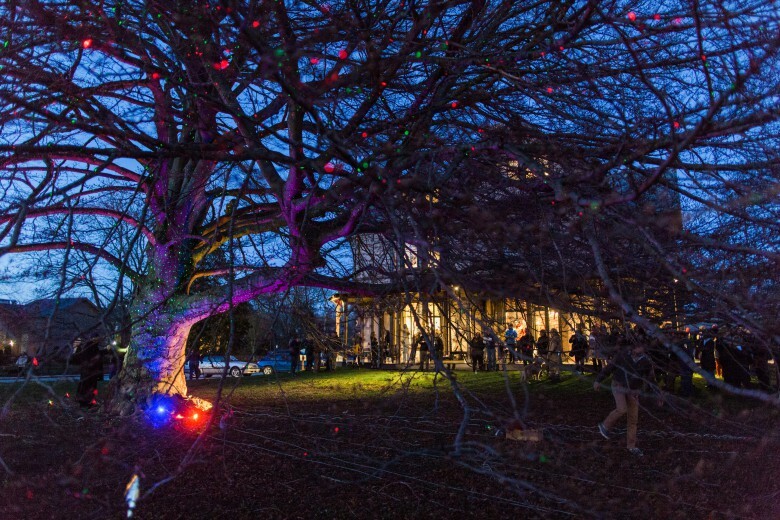 Owners are uplighting their beeches by using one or two laser projection lights below the tree that shower it in tiny laser lights. One light will illuminate the tree canopy, but the addition of a second light focused on the trunk makes the effect much more dramatic.